There’s a fairy tale quality to fernet — we’re talking Brothers Grimm here, not Walt Disney. Alone in a glass, the cola-brown spirit conjures the woods and strange roots dealt by witches; there are medicinal notes, too, but of the sort bought in burlap and taken on faith. A magical series of things happens when you do a shot of it. First, you recoil from the lacquer of black licorice and fresh paint, it’s alarming and tongue-coating. Once it’s gone, your brain sorts out what’s happened, and any given drinker will describe different phantoms — chocolate, caramel, mushrooms, earth, mint, orange oil, mouth wash. Finally, you join one of two groups of human beings: those who will never try fernet again, and those who will never again live without it. The facts of fernet are that it’s an Italian herbal liqueur, usually served as a digestif, alone as a shot or on the rocks. It’s a sharply aromatic blend of bits ranging from aloe to wormwood, depending on who’s doing the distilling. 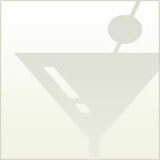 The myths surrounding fernet concern all of the ailments it can purportedly cure. Chef Fergus Henderson has deemed it something of a miracle salve for hangovers (and he’s not the only one), and folk legend, especially in its adopted home of South America, holds that a shot of fernet can ease everything from cramps to organ failure. The same waves of Italian immigration that brought skilled winemakers and artisans to Argentina’s rural interior laid the groundwork for a national love of the old country’s spirits. 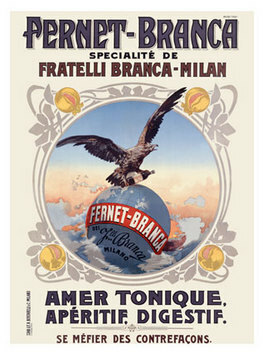 “The trend of Fernet-Branca started in Cordoba, and spread from there to Buenos Aires,” says Piñeiro. “That’s a rare path.” During the spirit’s migration to the city, it picked up a key companion it has yet to shake: Coca-Cola. A server does soon turn up with a bottle and two highballs filled with ice. Lazorenco fills each to the brim with equal parts fernet and soft drink, not bothering to stir. The sweet, caramel wash of the Coke wears the Fernet-Branca like a cape, a bitter, licorice-laced wrap that warms the soda’s spine. It’s more intriguing and less cloying than anything you’ll otherwise mix with cola, the dark-force equivalent of myriad Cuba Libres or Jack & Cokes. The best part is that it may ease the effects of the morning after, even as you overindulge in it — and while there may be no proof that it staves off organ failure, what a delicious way to hedge your bets.